Japan has a long history of forest management, particularly in rural areas where forests and agriculture were sustainably managed to meet local resource needs – a traditional cultural landscape called satoyama. 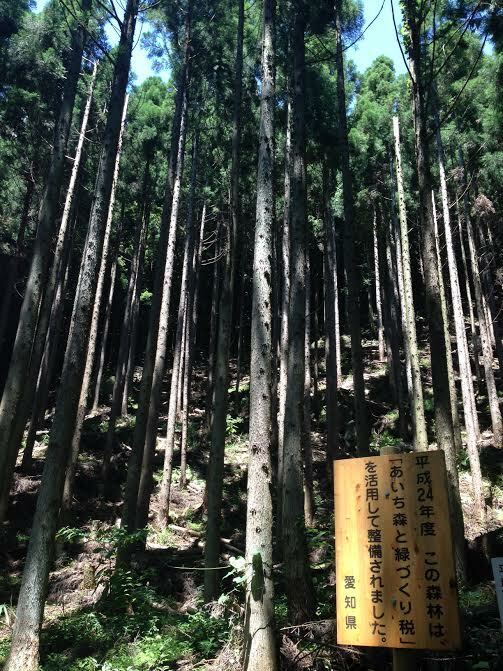 Today, low timber prices have discouraged domestic forestry in Japan, resulting in under-managed plantation forests. Current resources are inadequate to sustainably manage ecosystem services such as timber, carbon sequestration, water supply, and flood regulation. More accessible and accurate ecosystem service maps can improve public awareness of the importance of these forests and support new forest incentive programs. Our models focus on the Yahagi River watershed in the Aichi, Gifu, and Nagano prefectures. They account for the influence of climate, vegetation, soils, geology, and topography on the watershed’s hydrology, as well as the location of beneficiaries, their demand for services, and service flows. Results will be compared to results of a survey of the public, which can identify levels of awareness of forest ecosystem services and support for forest management relative to services actually received by specific beneficiary groups.